High performance metal expansion plugs. An all steel fixing for light weight blocks such as aerated and light aggregate blocks. 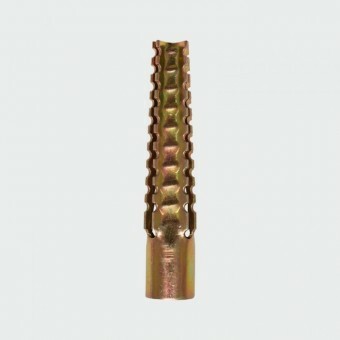 As they are manufactured entirely from steel they are ideal for fixing in areas such as fire escape routes where regulations restrict the use of plastic anchors or plugs. (Drill hole size is relative to the compressive strength of the substrate. When fixing into concrete, the below drill hole sizes should be increased to prevent damage to the plug during installation).